Wallpen has rocked the graphic art world with its new invention using the latest inkjet technology from a company named Xaar. The Wallpen Printer is a mobile unit that uses an extensive UV printer system to print graphics on large vertical surfaces. These extraordinary wall graphics can be printed on any surface such as plaster, stone, wood or tile. The detail and vibrancy of color are second to none. The printer’s creators spent years researching the technology behind the Wallpen vertical printer. It currently holds 15 patents. The printer uses a multi-color Xaar print bar that scans over the surface in order to detect any scratches or other blemishes that may exist. The printer than adjusts to properly cover these imperfections without any defect in the end product. The image looks amazingly realistic. There are a few limitations to the abilities of the Wallpen. While the width of the image to be printed is limitless, the height cannot exceed 13 feet. The printer works quickly, painting designs with a resolution of 370×600 dpi. The creators wanted to ensure that the printer could be transported easily so they made it compact enough to fit into a small car. What’s more, the Wallpen can be set up by a single person in only five short minutes. The printer’s inventor, Andreas Schmidt, Managing Director at Wallpen, felt the need to come up with a printer that could serve the needs of clients who were looking for a way to quickly and flawlessly print large images on vertical surfaces. 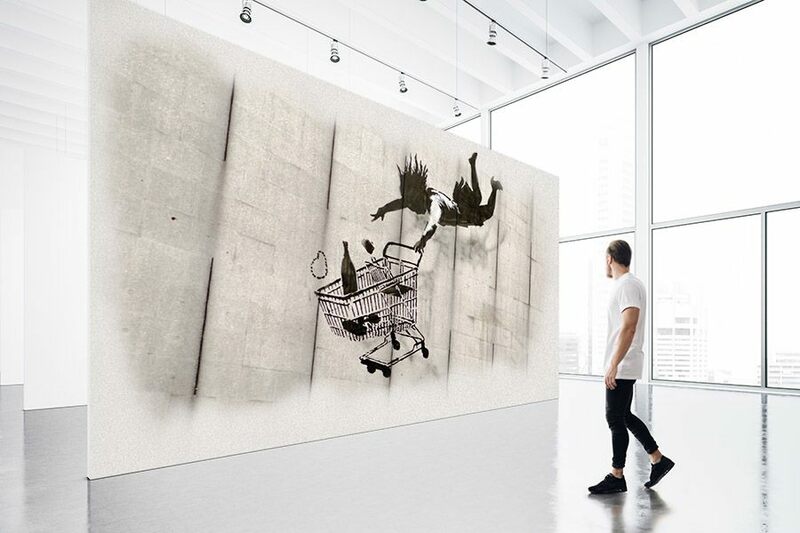 The invention of the Wallpen Printer has revolutionized the world of graphic art in places such as hospitals, businesses, malls, historic downtown buildings…anywhere where a large wall mural or advertisement could be placed. The printer is most popular with interior designers, professional painters, ad agencies, and graphic design companies. These businesses benefit from the efficiency and accuracy of the printer and their clients are loving the results. Schmidt credits the Xaar 128 printheads with the huge success of the Wallpen Printer. He stated, “The Xaar 128 printheads are central to our product because of their ability to jet UV ink, and also because they can be easily incorporated into a small and lightweight printhead unit. As a consequence, Xaar technology is playing a major role in the Wallpen Printer’s success.” Without the Xaar 128 printheads, the Wallpen Printer simply would not be as accurate or effective. Because of this amazing development, the printer is able to print flawlessly on both indoor and outdoor surfaces. It also helps the printer retain its compact size and keep it lightweight which helps the printer continue to be easily mobile.